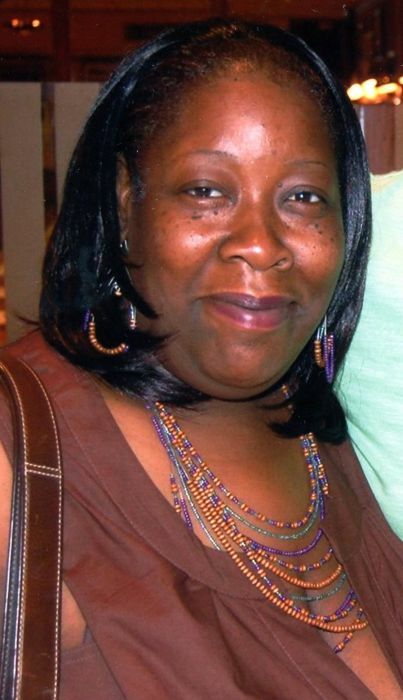 Obituary for Shelia Ann Johnson | Frank R. Bell Funeral Home, Inc.
Sheila Ann Johnson was born on August 23rd, 1965 to the late Orteroy Johnson and Barbara Johnson at Kings County Hospital in Brooklyn, New York. She was the baby of three children. Sheila was born a premature baby and spent the first weeks of her life in an incubator. When she reached 5 pounds she was able to come home. She was the most active baby and strong. As she grew older she was very talkative and inquisitive, but above all, she was a loving child. Sheila had her first Communion at St. Ignacious Church and was raised in Catholicism. She later visited Beulah Church and after hearing then, Elder Wilbur L. Jones preach, she accepted Jesus Christ and was baptized in Jesus Name at Beulah Church in 1986. Sheila was educated within the New York City Public School System. She later attended and graduated from St Joseph High School of Brooklyn, New York. In 2001, she furthered her education at the ASA College (Brooklyn Campus) and graduated with an Associate Degree in Occupational Studies. Sheila held various and notable positions throughout her professional career; including Revlon, M. Slavin & Sons and the later Portfolio Recovery Associates (in Hampton, VA). In 1987, Sheila gave birth to her first son Jonathan E. Miller and in 1998, she gave birth to her second son Jallal J. Waters. They were the joy of her life. They fortified her existence. Sheila’s main goal in life was to instill greatness in her sons. As a positive influence, Sheila furthered her education to show her sons that education is the key to success. Jonathan and Jallal were her princes; they motivated her to keep enduring until the end. In 2013, Sheila relocated to Hampton, Virginia where she finally felt at peace and enjoyed the slow pace life from New York City. On Sunday night November 25th, 2018, Sheila became ill and transitioned from this life early Monday morning November 26th, 2018. She leaves to reflect her life; son, Jonathan Miller and his father Darrin Miller. Son, Jallal Waters and his father Steven Waters. Her life partner, Melvin Howard and his daughter Adisha Garner. Sister, Michelle Pierre and brother, Michael Johnson. Her Aunt, Theresa Thrane and two uncles, Benjamin Becton and Junior Becton. Niece, Jacqueline Pierre and nephew, Matthew Vick. Her closest friends, Mrs. Beverly Irving, Mrs. Michelle Roberts -Young and Ms. Emma Rivers, and a host of family and friends.